Word has been received of the passing of Dean Lindo, one of the founders and a former leader of the United Democratic Party. He died at his home in Buttonwood Bay, Belize City after ailing for some time with a number of health issues. 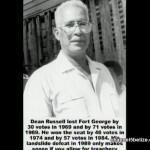 His political trajectory started in 1969, when he ran under the banner of National Independence Party but lost to P.U.P.’s Alexander Hunter in the Fort George Constituency. 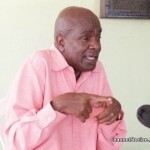 The formidable politician continued to contest the area winning two elections and losing two to former PM Said Musa who still remains the area rep of Fort George. He left electoral politics and practised law. Lindo was also the uncle of the current PM, Dean Barrow. At the time of his passing he was eighty-six years old. Lindo is by and large considered a man with a huge presence inside the U.D.P. He was once a former Minister of Natural Resources and Agriculture and is being eulogised from across party lines. Dean Russell Lindo was born September 4th, 1932 and passed away earlier today at the age of 86. He graduated from New York University and Durham University in England and has practiced law since 1964. 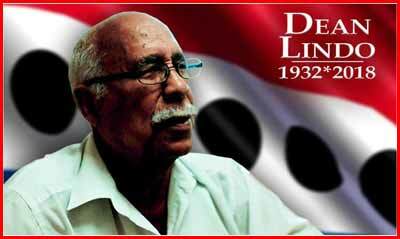 Lindo was one of the founders of the United Democratic Party (UDP) in 1973. He served as UDP leader from 1974 to 1979. His first foray into politics was as a member of the National Independence Party (NIP) in the Fort George Division. His career can be compared to some of boxing’s greatest fights, like the Foreman/Ali fight. He has the distinction of being the only man to beat PUP’s Said Musa in a General Election while also recording some losses against. Lindo was elected from Fort George in 1974, defeating PUP’s Said Musa by 46 votes.In 1979, Lindo lost his seat to Musa by 71 votes. Lindo regained the Fort George seat in 1984, defeating Musa by 57 votes, but lost again to Musa in 1989by 449 votes. Here’s a short clip of Lindo reflecting on the formation of the UDP. Lindo, the man who built the house called the UDP, also had an impact in the formative years of long time Mesopotamia area representative, Michael Finnegan. In the past, Finnegan had called him one of the best at politics and the total package. Love News spoke to Finnegan via phone about the loss of the senior UDP statesman. 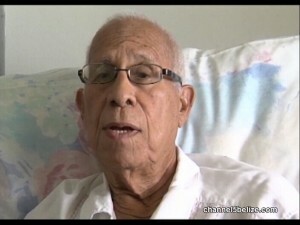 In 2009, Dean Lindo was honored at the Tribute to Belizean Patriots. One of the highest honor went to the former UDP representative for contributions to the development of party politics in Belize. Preparations are underway for the funeral services of Dean Russel Lindo, who we are told will be offered a state funeral, due to his prominence in political life beginning in 1964. He is to be eulogized by a close friend and another powerhouse in the United Democratic Party, Michael Finnegan. Lindo passed away on Monday afternoon after ailing for some time. 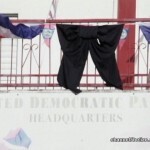 Messages of condolences have been flowing to honour the deceased first leader of the U.D.P., a party which evolved from the National Independence Party. He retired after twice winning and twice losing the Fort George Division against sitting area rep, Said Musa. Lindo served in cabinet as Minister of Natural Resources and was also named ambassador to the United States. After retiring from active politics, he practiced law. 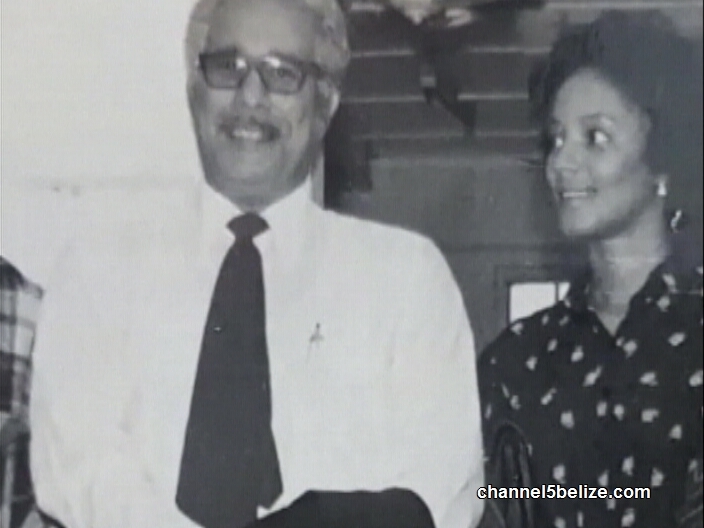 Tonight, News Five’s Isani Cayetano looks at the legacy of Dean Lindo. The profound impact of Dean Lindo on the United Democratic Party, as foremost leader and chief political strategist, is still felt across the organization decades after he rose to prominence in the late sixties. Career politician and fellow U.D.P. stalwart Michael Finnegan came up under Lindo’s tutelage. Despite the overwhelming support for the People’s United Party at the time, Lindo and the fledging political movement to which he belonged held true to his ideals and philosophy. Dean Lindo, First Party Leader, U.D.P. Also owing her knowledge and fervor for politics to Lindo is former Collet U.D.P. Area Representative Faith Babb. She was the first woman to be elected to the House of Representatives by the United Democratic Party. But being involved, as a member of the up and coming U.D.P., was often challenging. Lindo speaks of the difficulties faced under his political opponents. Finnegan also recalls those days and the fact that there were defectors in the National Independence Party. Lindo, in his own words during his final interview last month, shared how the United Democratic Party was formed. The political rivalry between Dean Lindo and Said Musa is one for the history books. Coming from a student of the former and a close friend of the latter, Mesopotamia Area Representative Michael Finnegan says that Lindo is virtually unrivaled as a political mastermind. The only other politician who comes closest to him in astuteness is Fort George Area Representative and two-time prime minister Said Musa. Finnegan says that the competitiveness between the two titans was great for the development of party politics in the country. Dean Lindo got his Order of Belize honour at the tribute to Patriots back in 2009. For the past two nights we've been reporting on the passing of this political giant, the first leader of the UDP, and a former two term area representative for Fort George. His chief political rival, Said Musa credited him for, quote, "shifting the political paradigm in Belize..at a time when the PUP reigned supreme for decades," close quote. So, there's no doubt Lindo was a political titan, but he was also a man who loved to clown around, and come up with comedic quips. 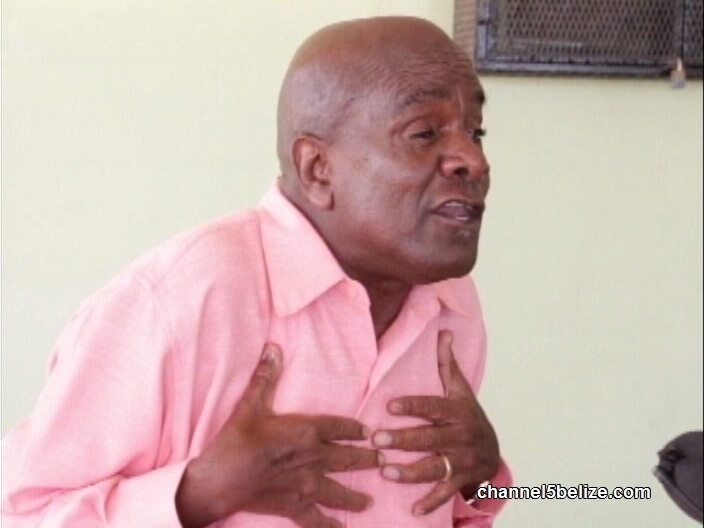 The Prime Minister - who was his nephew and namesake - told us that up until weeks before his death - he was still cracking jokes:..
Dean Lindo's State Funeral will be held on Monday at the St. John's Anglican Cathedral. 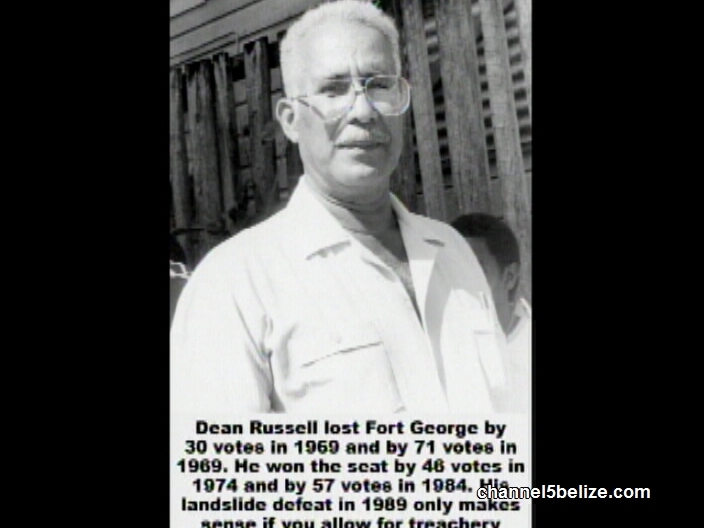 Dean Russel Lindo, an attorney by profession, and the first leader of the United Democratic Party (UDP), died on September 17, 2018, at his home in Belize City. 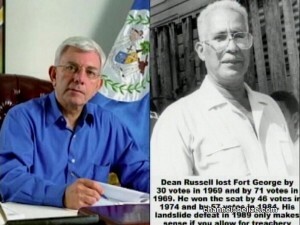 He was also a two-time elected representative from Fort George Division in Belize City, a minister of natural resources in the 1984 UDP Manuel Esquivel administration, a Belizean ambassador to the United States of America, UDP national campaign chairman and advisor to the party. 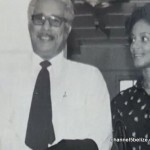 He was the uncle of Belize’s current three term prime minister, Dean Barrow, who was named after him and was his mentor since he entered politics in the late 1970s. 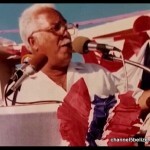 From the time I was born in Dangriga, there were only two main political parties in Belize and they were the People’s United Party (PUP) led by George Cadle Price, a former premier and prime minister, and the National Independence Party (NIP) led by the late Philip Goldson, a representative for Albert Division in Belize City for many years. These two men were part of the original founders of the People’s United Party (PUP), which was formed in the early 1950s, but Goldson, Lee Richardson and others broke away due to some disagreements with George Price and founded the Honduran Independent Party (HIP). 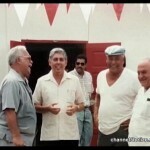 Up until the end of the 1960s, the People’s United Party was the dominant political party in Belize and the National Independence Party (NIP) was no match to them. Why? 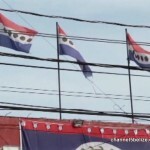 Because the root of the People’s United Party, came from the labour movements that were formed in Belize to protest the way the British government and their businesses were treating the citizens of Belize during that period. From these movements came the cry for independence from Great Britain. However, for Belize to achieve its independence, Guatemala’s claim stood in the way. George Price, with his determination to obtain independence, was accused of negotiating with Guatemala by the British. Some Belizeans believed the British and turned against him to become NIP. The PUP had a men’s group, women’s group and marshals in their party all over the country. In Dangriga, when they held a meeting, you could have seen their men, women and marshals neatly dressed going to their meetings. If George Price came to town, they would go to the “Y”, which was the entrance of our town at the time, and await his arrival. From there they would back him on their shoulders and parade him on Saint Vincent Street all the way to Zabaneh’s Riverside Hotel at the beginning of Commerce Street at the middle of the town by the main bridge. Their slogan was; George Price All The Way and PUP All The Way. If any person was to say anything negative about George Price, he or she risked being beaten up by some of the PUP marshals who were non law abiding citizens. If they were arrested, the PUP would come and bail them and some police officers were terminated from the police force for arresting them. When Philip Goldson came to town, some of these same marshals would go and heckle the NIP meetings and stone Goldson on the rostrum with rotten eggs and the police officers would not arrest them. These things I witnessed at Central Square in the heart of Dangriga town and it turned me against the PUP. Some Belizeans were so afraid of George Price’s PUP that some of them did not talk about the things they were experiencing with them. Many Belizeans left Belize and came to the United States because of what they endured during those years opposing the PUP. 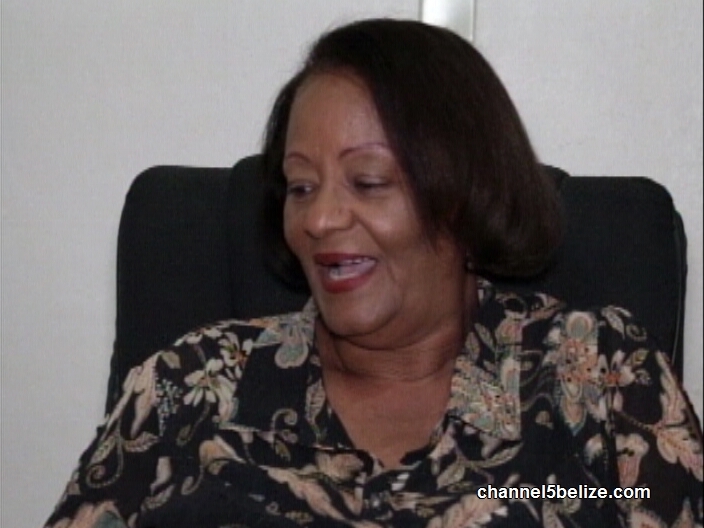 Some members of the NIP and other Belizeans were disgusted and wanted a leader who could stand up and fight for them against this PUP bullying. In the late 1960s and the early 1970s, their dream came true when UBAD and two new parties emerged by the name of the Liberal Party and People’s Democratic Movement (PDM) under the leadership of Dean Lindo. The main players that I could remember were Evan X Hyde, Ken Tillett, Paul Rodriguez, Harry Lawrence and Manuel Esquivel. Shortly after they were formed, George Price called general elections and they decided to merge to become one party. 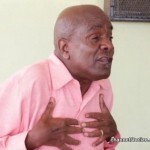 From the time Dean Lindo became the leader of the UDP around 1973, I saw a major difference in his aggressive style of leadership compared to the late Philip Goldson who was more gentleman-like. 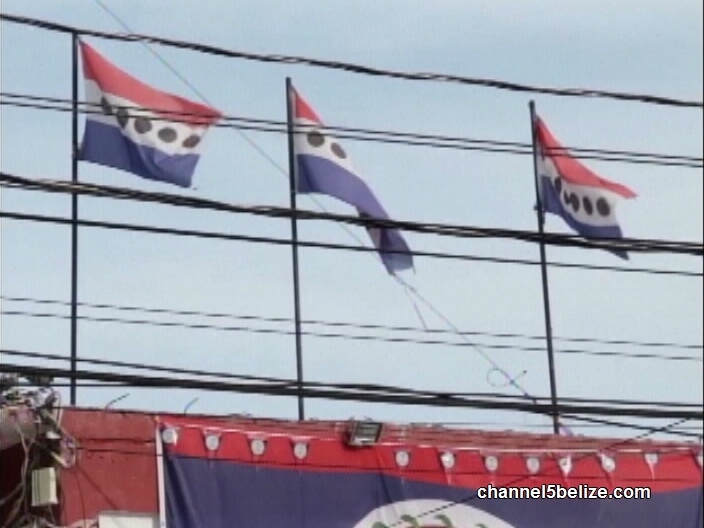 The Belize people were joining UDP and were getting brave. When the elections were held in 1974, the UDP made significant improvements by winning six seats out of 18 compared to all the previous NIP attempts. In some of the seats that they lost, the margins were so close that they almost defeated the PUP. Even Dean Lindo won his seat by defeating Said Musa. I was a police officer on the election campaign team and was assigned to the Matron Roberts Health Centre counting station in Collet Division. The candidates were Evan X Hyde (UBAD), Harry Courtenay (PUP) and Ken Tillet (UDP). The PUP candidate Harry Courtenay was declared the winner by one vote after a recount was done. Many people including myself still believe up to this day that Ken Tillet won that division. Dean Lindo then began concentrating on building the party for the next election in 1979. Unfortunately, in 1979 PUP won 13 seats and the UDP won five seats, with Dean Lindo losing his. 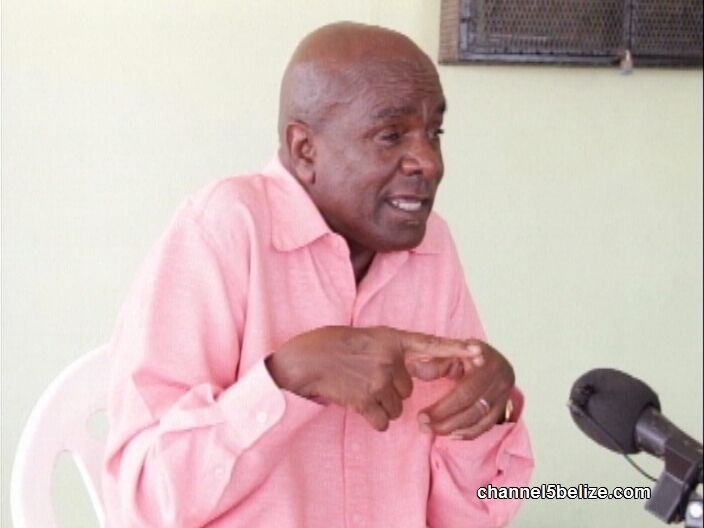 After that election, Dean Lindo resigned as party leader and a new politician to the UDP from Dangriga, Dr Theodore Aranda, became the party leader. Manuel Esquivel was made deputy leader of the UDP. Dean Lindo became the party chairman and continued to assist his party in building its base for future elections. Dr Aranda later resigned as party leader and Manuel Esquivel became the new leader of the UDP. On September 21, 1981, Belize was granted independence by Great Britain and the political situation in Belize was getting worse. Said Musa and Assad Shoman were labeled as communists and the party was becoming fragmented. Civil wars in the Central American countries of El Salvador, Nicaragua and Guatemala were becoming intense and the US was concerned. Elections were called in 1984, which the UDP won by a margin of 21 to 7 and Dean Lindo ran again against Said Musa and defeated him. He was then given the post of minister of natural resources by the new prime minister, Manuel Esquivel. As minister of natural resources, he implemented some new reform programs related to land issues. 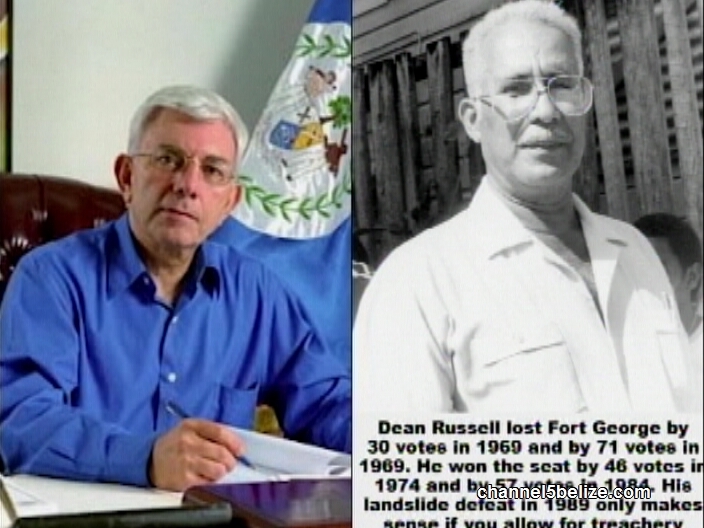 Dean Lindo assumed several other roles in his party to assist them in retaining, regaining and maintaining political power in the country of Belize. 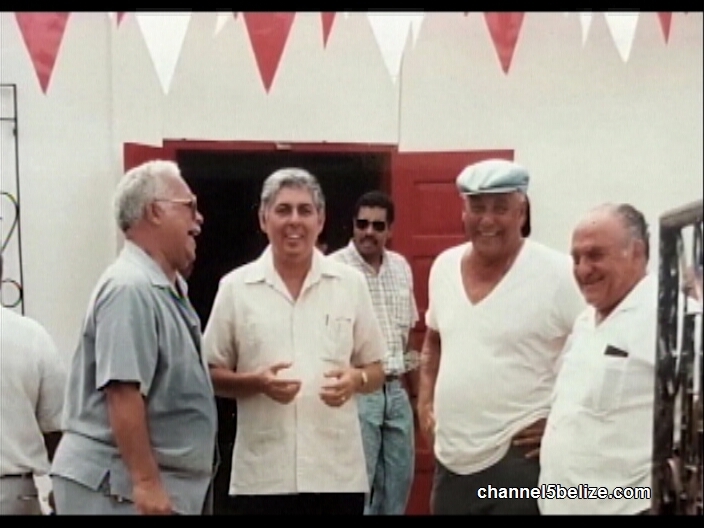 In studying Belize politics, two of the most important eras in our country were the 1950s and the 1970s. Some people from the 50s were George Price, Philip Goldson, Lindy Rogers, Alan Arthurs, Rudolph Mckoy, Nicholas Pollard, Leigh Richardson, John Smith, Agapito Hassock, Herbert Fuller WH Courtenay and others. Only George Price became a prime minister from this group. The people from the 70s were Dean Lindo, Harry Lawrence, Ken Tillet, Dr Aranda, Paul Guerrero, Said Musa, Assad Showman, Florencio Marin Sr., Evan X Hyde, Curl Thompson, Paul Rodriguez and others. Manuel Esquivel and Said Musa became prime ministers. The politicians from the 80s include Dean Barrow, Wilfred Elrington, Derick Aikman, Charles Wagner, Joe Briceno, Michael Finnegan, Guadalupe Pech and others. Only Dean Barrow has become prime minister so far. The next prime minister of Belize can become anybody from any political period because there is a lot of low confidence in our political parties and their leadership. 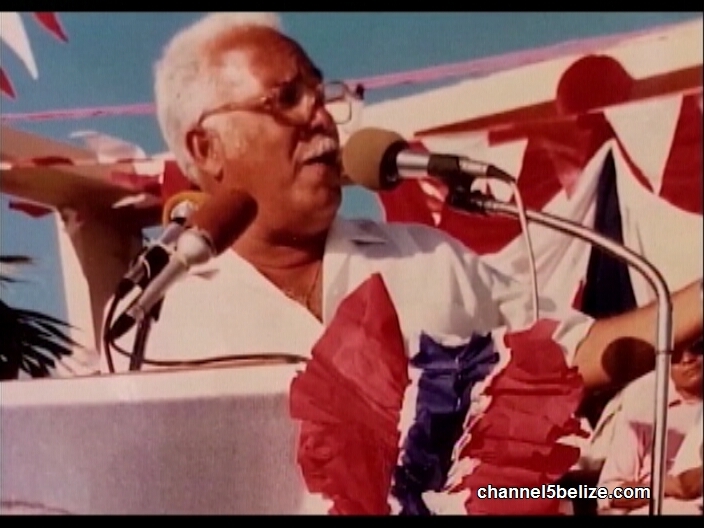 Dean Lindo was a man that future politicians need to study because he changed Belize politics forever. If it was not for him, UDP and Dean Barrow would not be where they are today and they all know this. PUP was not easy to beat because they will and would do anything to win an election. They remind me of the Republican Party here in the United States. Dean Lindo was fearless and aggressive and had no fear in him for them. The third parties in Belize must realize that, just like how Dean Lindo agreed to merge with other political parties to defeat PUP, they must merge to defeat UDP/PUP. People do not give up political power out of kindness. Politics is war and sometimes it could be life or death. Our country is in a mess and our people and nation are both crying for new leadership and new direction. Let us offer our services to save our people and nation. Thanks for your contributions Dean Russel Lindo. When you saw the need to offer your services to our people and nation you did. Those services can never be repaid by anyone. 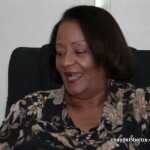 You are now gone but will remain in the minds of many Belizeans like me, who appreciate what you did for us. Arrangements are currently being made to grant this patriotic Belizean a state funeral, which is deserving. His life will now be included in the political history and development of our beloved country Belize. At around 3:20 pm on the 17th September, 2018 Dean Russel Lindo made his transition to the after life. DRL as he was affectionately called has now joined his lifelong friend and law colleague BQ Pitts, who made his transition a few years earlier. DRL had not been keeping good Heath for a few years now, however his health deteriorated a few months ago and that caused him to close his law firm. Over the past few months, Lindo was hospitalized quite a few times. Although he retired from practicing law he was still willing to give of his wealth of experience to any young Attorney who sought his advice. Another practice that he continued to do was to call the Wave Talkshow and gave timely contributions to the show. Dean Lindo was one of Belize’s most brilliant legal minds and he possessed a laser sharp wit, both of which never left him. Those are some of the things that will be missed the most in his passing. Let us say a few things from the Bio of Dean Russell Lindo. He was born on the 4th September 1932 to Ina and Maurice Lindo. DRL is a husband, a father, an attorney, a former politician, a former diplomat and an Uncle. Over the years he became affectionately known also as “Uncle Dean.” He is married and has one son, Martin Lindo. Mr. Dean Lindo is one of the founding members of the UDP having served as its first leader from 1974 to 1979. He has also served the UDP as Party Chairman and Campaign Manager. In fact he was our Campaign Manager in 1984 when the UDP won for the first time in what was an historic landslide victory for us. Again in 1993 he was our Campaign Manager when we were once again victorious after having lost in 1989. Lindo himself was elected twice once in 1974 and then ten years later as a part of the history making team in 1984. He holds the distinction of being the only person to have defeated Said Musa. During the 1984 to 1989 term Lindo served first as Minister of Natural Resources (1984-1986) and then as Minister of Agriculture, Forestry and Fisheries (1986-1989). Some of his achievements during that period include the creation of the first Jaguar reserve for the protection of Jaguars and the creation of the Hol Chan marine reserve. He also started the research at the Central Agricultural College on organic alternatives to chemical fertilizers and pesticides and brought into being legislation against the importation of dangerous commercial agricultural chemicals. In 1989 he initiated a national Tropical Forestry Action Plan to guide Belize towards sustainable forest exploitation. There are many more accomplishments that this great gentleman possesses but time and space forces us to herald those at another time. There is also another side of DRL and that is his professional life as an attorney, a profession he was in since 1964, that is to say for the last 52 years. 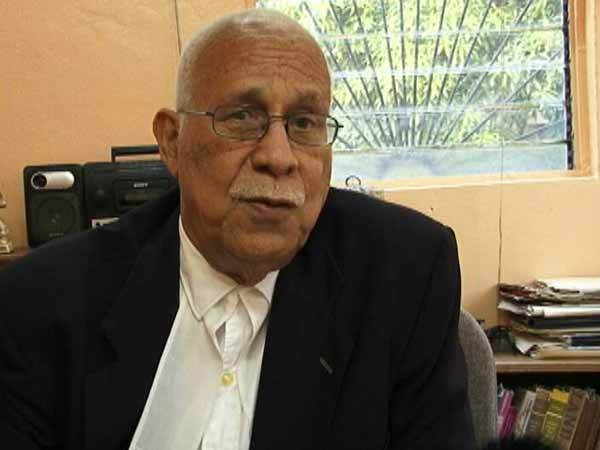 Lindo was no slouch as an attorney, he was one of Belize’s best legal minds, who many attorneys both young and old, sought out for guidance and advice. Mr Lindo may not be seen in court a whole lot lately but ask many attorneys whose style and previous litigation history they employ in court? Lindo also published and attorneys find his works very useful in legal matters they have and continue to deal with. Dean Russell Lindo has touched his light and has watched the field. He is true testament to the saying “To thine own self be true.” Sleep On DRL, you did your job on earth and did it well. 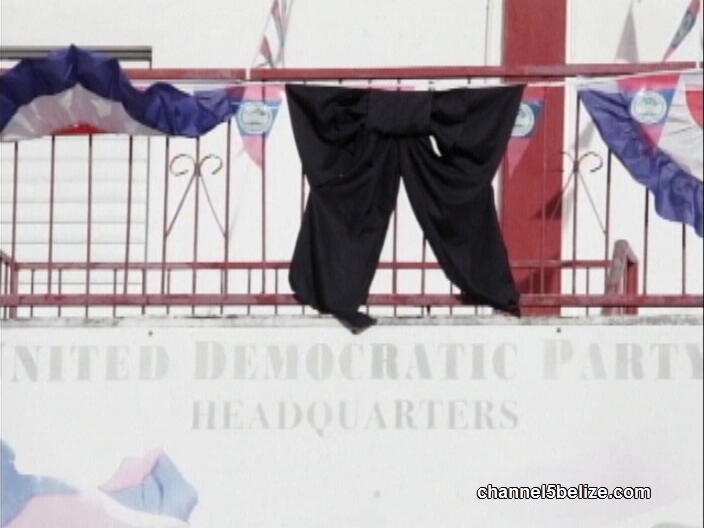 The State Funeral for the first Leader of the UDP, Dean Lindo was held this afternoon at St. John's Cathedral. The 86 year old was cremated according to his wishes and the ashes were put in a mahogany box. The box was marched today to St. John's Cathedral for a church ceremony that was primarily officiated by the Right Reverend Phillip Wright, Bishop of Belize. There was attendance of a cross-section of political personalities, the legal community, and friends from his long public life as an attorney, a sportsman and a statesman. The eulogy was read by Hugh Michael Lindo and Lydia Thurton - while Michael Finnegan gave the official remembrance. Others who spoke at the ceremony were Senator Godwin Hulse, Sandra Lindo and Anwar Barrow. Lindo was sent off with a 21 gun salute. The accomplished sailor's ashes will be thrown out to sea. Lindo's nephew and namesake, Prime Minister Dean Barrow couldn't be here - because he is still in Cuba recovering form back surgery. An official memorial service was held at Saint John’s Cathedral this afternoon for the late Dean Russel Lindo. Family, U.D.P. supporters, the Bar Association, as well as friends from all walks of life gathered to say goodbye to the first leader of the United Democratic Party. The sermon inside the packed cathedral was delivered by Bishop Phillip Wright. The official eulogy was given by his brother High Michael Lindo and Lydia Thurton while it fell on his long time friend and political ally, Michael Finnegan, to give the official remembrance. 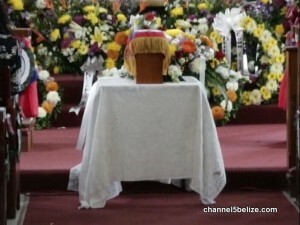 His remains were carried outside the Cathedral walls by the Belize Defense Force that also performed the gun salute. The flag was handed over to his brother by the Governor General. Lindo passed away at his home in Belize City on September seventeenth. In life, he served in the National Assembly and was named ambassador to the U.S. After exiting active political life, he practiced law.